Expand your iPhone XS's battery life while adding protection with the black Apple iPhone XS Smart Battery Case. Made from soft-touch silicone, this case helps protect your device from bumps and scrapes, while the microfiber interior preserves your phone's aluminum finish. An elastomer hinge lets you easily install or remove it. This Smart Battery case is compatible with Qi-certified chargers. 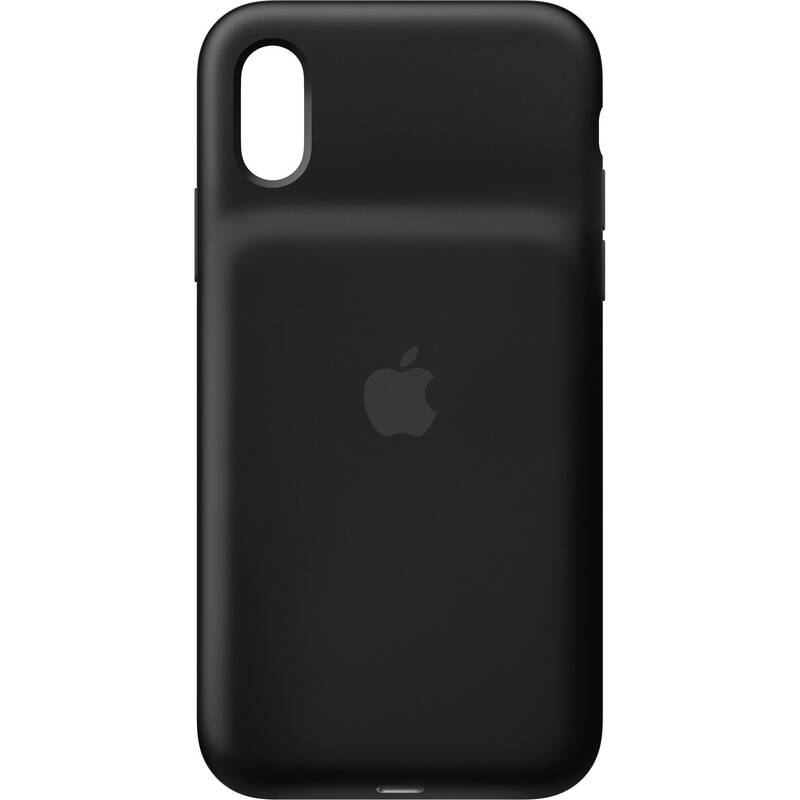 You can charge your iPhone and battery case simultaneously for increased talk time up to 33 hours, internet use up to 21 hours, and even longer audio and video playback up to 25 hours. With the Smart Battery case on, the intelligent battery status is displayed on the iPhone lock screen and in the notification center, so you know exactly how much charge you have left. Box Dimensions (LxWxH) 6.55 x 3.65 x 1.0"